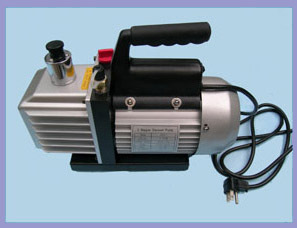 The vacuum pumps are two-stage direct driven with compact and lightweight designs. The pumps are ideal for small scale research lab applications. All models are configured for 115V/60Hz operations and equipped with check valve to prevent oil backflow during the power failure. Free air displacement ranges from 80 to 220 L/min or 3 to 8 cfm. The DV Series vacuum pumps are made in the USA with two-year manufacturer’s warranty. The 2XZ Series pumps are imported from China with one-year manufacturer’s warranty. 2XZ pumps are covered with one-year manufacturer warranties from the date of original purchase. 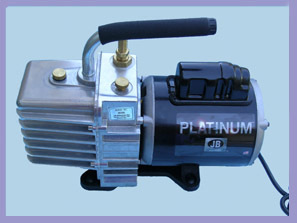 DV pumps are covered with two-year manufacturer warranties from the date of original purchase. Contact AvaChem Scientific for warranty information. Defective product: Refund or exchanges within 30 days of purchasing. Non-defective product: May return within 30 days of purchasing, but subject to a 25% restocking fee and all shipping cost. Return authorization from AvaChem is needed prior to any returns.